The National Association of REALTORS’ (NAR) Chief Economist, Lawrence Yun recently commented on the inventory shortage: “While feedback from REALTORS® continues to suggest healthy levels of buyer interest, available listings that are move-in ready and in affordable price ranges remain hard to come by for many would-be buyers.” The latest Existing Home Sales Report shows that there is currently a 5.1-month supply of homes for sale. This remains lower than the 6-month supply necessary for a normal market and well below November 2014 numbers. 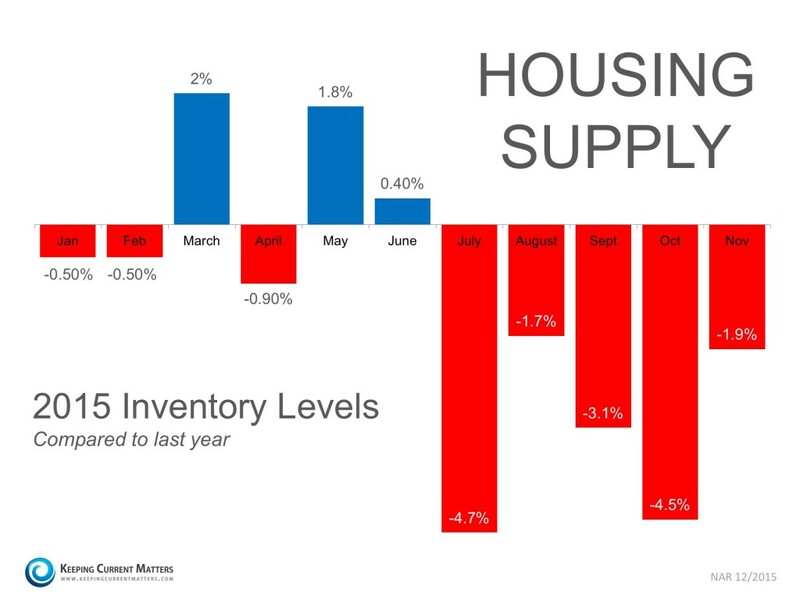 The chart below details the year-over-year inventory shortages experienced in 2015. Anything less than a six-month supply is considered a “Seller’s Market”.